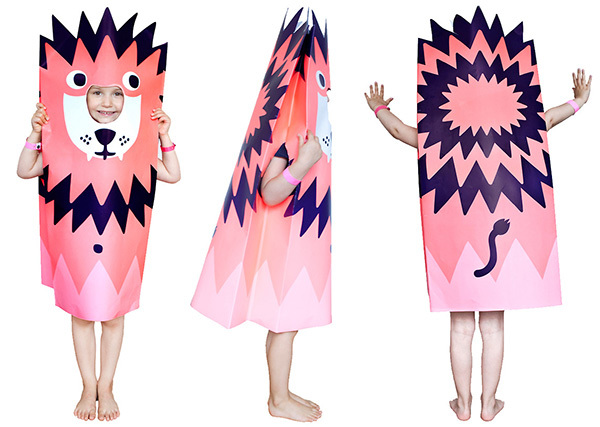 Kids can roar loud and proud in OMY Paper Costumes! 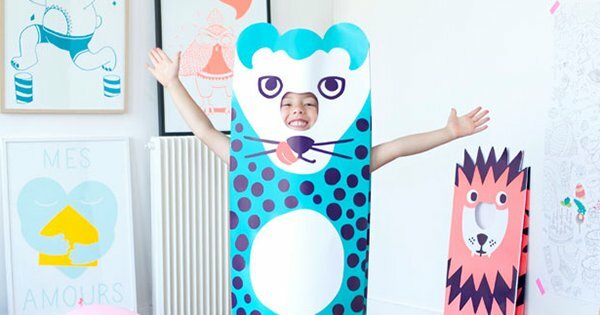 As the mother of a child who loves nothing more than dressing up by wearing cardboard boxes with arm holes, I’m all for saving my scissors (and my wrists – thick cardboard is tricky to cut you know) and I can do just that with these awesome paper costume finds from French brand OMY. Beautifully bold and bright, imaginations will soar (and roar) with these paper delights. OMY Paper Costumes lay flat and are a lot easier to store than a pyramid of boxes. It’s super easy to slip on and off, so your child can dress up on a moment’s notice without any drama. Printed both front, back and side using non toxic inks, the paper costume has holes for both arms and face to poke through and at 78 centimetres long, it’s designed to best fit children aged three to eight. A fabulous stocking stuffer for your kids if you’re already starting to think of Christmas, you can find the OMY Lion Paper Costume locally priced $25 at Hard To Find, with free shipping in Australia.